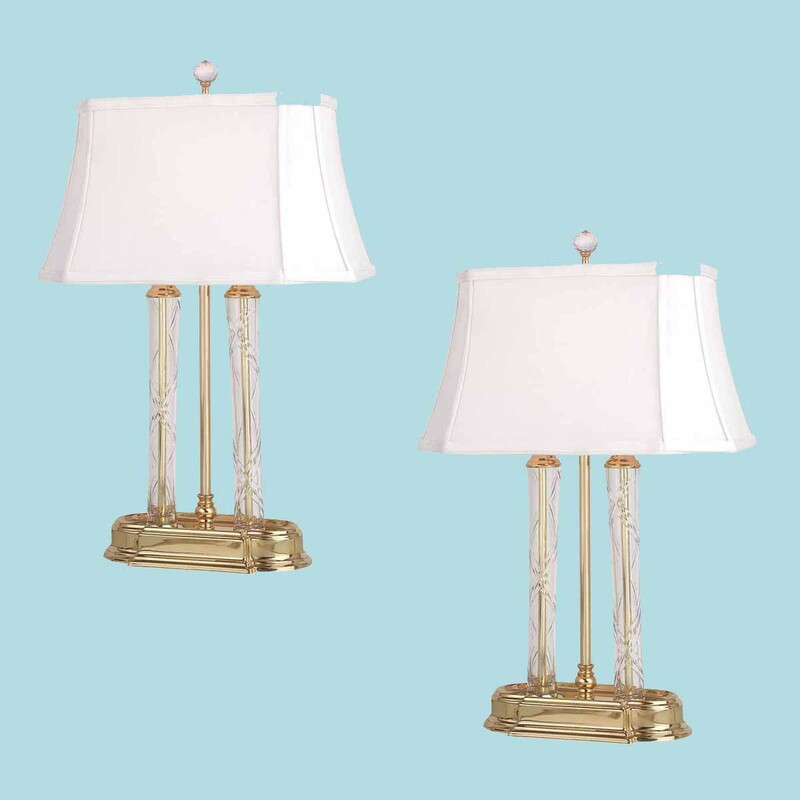 (2) pieces Item 10452 Crystal Table Lamps: Our Double Pillar Crystal Table Lamp with its elegant vintage design is the perfect feature for night stand, corner table or desk. This antique crystal table lamp is a classic combination of double crystal glass pillars and exquisite polished brass. Requires two 60 watt max. 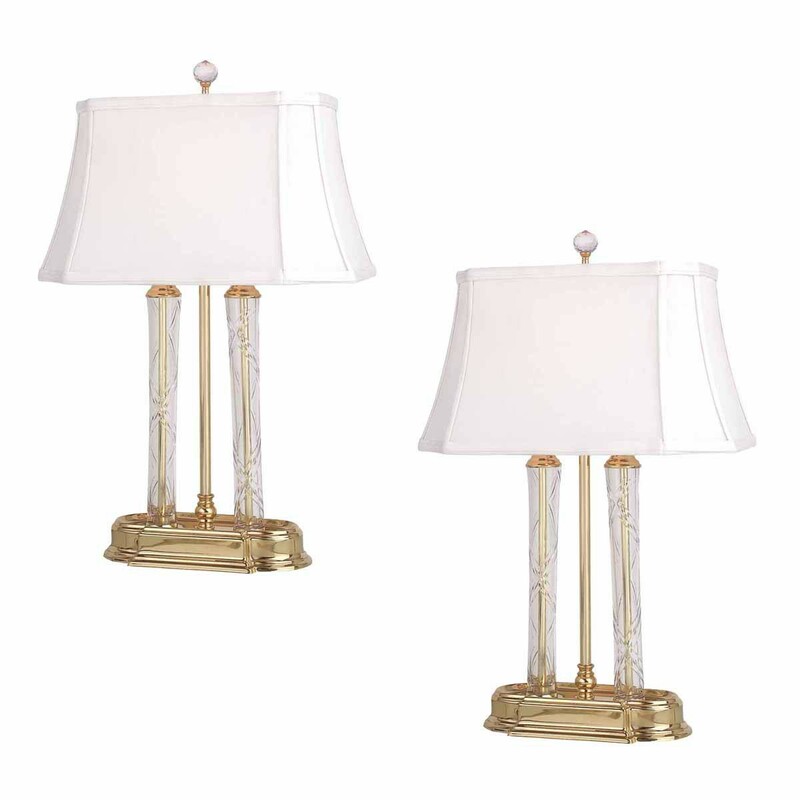 bulbs (sold separately) Crystal Table Lamp measures 21 in. high. Antique Crystal Table Lamp includes a white faux silk shade, easy to install harp style fixture and faceted crystal ball finial top.